Where do your best email subscribers, leads, and customers come from? Email is one of the oldest online channels, but it’s still crushing it. Smart marketers invest in email marketing. Robert Rose, of the Content Marketing Institute, argues that the value of content is building a “subscribed audience.” Email fits the bill. As everyone hops on the email acquisition train, some parts of email acquisition are getting harder. It used to be you could slap up a free ebook and rake in those sweet, sweet email addresses. Across the board, it’s getting harder and harder to reach audiences online. Platforms like Facebook are sending less and less traffic out to websites like yours. According to one study, traffic from organic (non-paid) Facebook posts has declined by 450% since 2015. (Don’t worry—if you target the right channels, your email list will still grow just fine. Changes to online platforms just mean you have to be smart about it, and we’ll talk about how). Similarly Rand Fishkin, founder of Moz and SparkToro, has pointed out that virtually all sources of online traffic are sending you fewer visitors than they used to. This is what makes email acquisition critical. Because even if no one sends you traffic—you can still send emails. Let’s talk more about how to increase email subscribers, grow your email list, and build lists that get you more customers. I have a trick question for you. How valuable is an email list with 2,000 people on it? How much money will that list make you? Like I said, this is a trick question. There’s no good answer without knowing the details. Because it all depends who’s on the list. An email list of 2,000 people could power an entire business. Or it could make no money and just be an expense. It could outperform an email list of 50,000 people (the biggest email list doesn’t always win). Or it could underperform compared to a list of just 100 people. Here are three, actual, real-life email lists that I’ve come across in my marketing career. A 2,000-person list that makes no money. It’s essentially a hobby blog that sends out weekly inspirational blog posts. A 2,000-person list that brings in ~$500,000 a year. It sells multi-thousand dollar courses to a niche audience, and makes a handful of sales each month. A 2,000-person list that powers a $7 million business. It reaches executives and director-level professionals who are in need of consulting services. The lists are roughly the same size. Everyone involved knows how to write a good subject line, and they all have good open rates and response rates. The difference is who’s on the list. As you build your mailing list, it’s critical to keep this in mind. A marketing executive isn’t going to Google “how do I get more leads,” download an ebook, and wind up on your email list. Different audiences hang out in different places. And when you do email acquisition, you don’t just need to know how to grow an email list fast. You need to find potential customers. I’m about to walk through the best ways to collect email addresses. Your idea email acquisition strategies depend on your business. 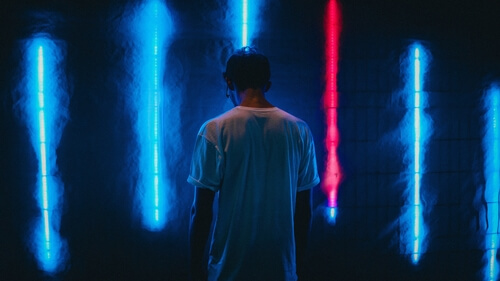 The email acquisition tactics you use will need to be customized. Whether you need to know how to build an email list from scratch or are looking to bring in more qualified leads for an established business—this breakdown of traffic sources and tactics will help you understand how to reach the right audience for your business. So you can find your best customers. What’s the best way to collect email addresses? How should you choose where to focus your marketing campaigns? What should your top priorities be when it comes to email marketing list building? This section is about that first step—finding ways to reach people. We’ll talk about conversion rate optimization a little later. For now—remember that not every channel is created equal. Some channels are better for some topics, and some are better for some audiences. If you’re purely trying to get the biggest email list, you’re going to want some combination of viral social media list building and search engine optimization. You’ll also need to have a value proposition with mass appeal. That isn’t always the goal. Look, we both know I'm trying to get your email address. In return, we'll send you one email each week with in-depth articles like this one. Here are the top channels to grow your email list, along with their pros and cons. If you don’t do SEO, search engine optimization can feel like a confusing minefield. It seems like any step you take can blow up your website by accident. Search engine optimization is the practice of getting your stuff to show up when someone searches for something. Usually that means Google searches, but SEO can also apply to Amazon, YouTube, Bing, and other searchable platforms. Remember that table from Rand Fishkin? Google sends more traffic than anything else. By a lot. SEO is complicated in some ways—and the Google algorithm is definitely complicated—but there are also simpler versions of SEO that can help. If you need to learn how to do SEO, there are a variety of resources out there. I’ve looked at the Google Analytics for dozens of websites, and there’s a consistent trend. If a website has been around for a while, most of its traffic comes from Google. A week of traffic to the blog I run on the side. Most traffic comes from organic search (SEO), which is typical for websites that have been around for a while. If you want a lot of traffic, you will eventually need to think about SEO. But do you need to do SEO now? What are the cons of SEO? Google refers by far the most traffic. This is the biggest source of traffic available. When someone searches, they’re looking to solve a specific problem. That often means they’re more likely to convert into email newsletter subscribers, or other contacts. Once you rank, you get traffic for a long time. It doesn’t take a ton of work to maintain the traffic you bring in from SEO. You just keep getting more traffic. SEO has the potential to get you a lot of subscribers. And once you start getting them, you don’t need to do a ton to keep the flow of traffic coming. SEO also delivers high quality traffic, because people come with a specific problem in mind. But when is SEO not a good fit for email acquisition? When people aren’t sure what to search. Sometimes people don’t know what to search—even though they have a problem you solve. When the people you want to reach don’t Google things. If you’re trying to reach business-to-business executives, they’re not as likely to turn to Google for answers. When people don’t search for you much. Traffic in Google is limited by how many people search for you. If there aren’t many searches for what you do (because you’re in a new industry, or a niche industry), it will be hard to get traffic. When there’s a more efficient channel for your business. Why go through the trouble of learning and doing SEO if you could go to a networking event and pick up three qualified leads—that give you all the business you need for the next year? SEO is often a good fit, and it’s often the best option for people who want to build a big email list. If your marketing strategies require reaching a lot of people, SEO can work. And it might not be the best way. What if you serve a really specific audience? Or there are no searches for what you do? Or it’s not worth learning SEO, because you don’t really need 1000s of visitors—just a few customers? How do you do email acquisition? Online groups and forums are one of the best ways to get targeted email addresses. No one is Googling “productivity for poker players.” It’s too specific. But if you were a member of the poker-playing community and heard about a guy who focused on productivity for poker players—why would you ever turn to anyone else? Yup, this is a real person. 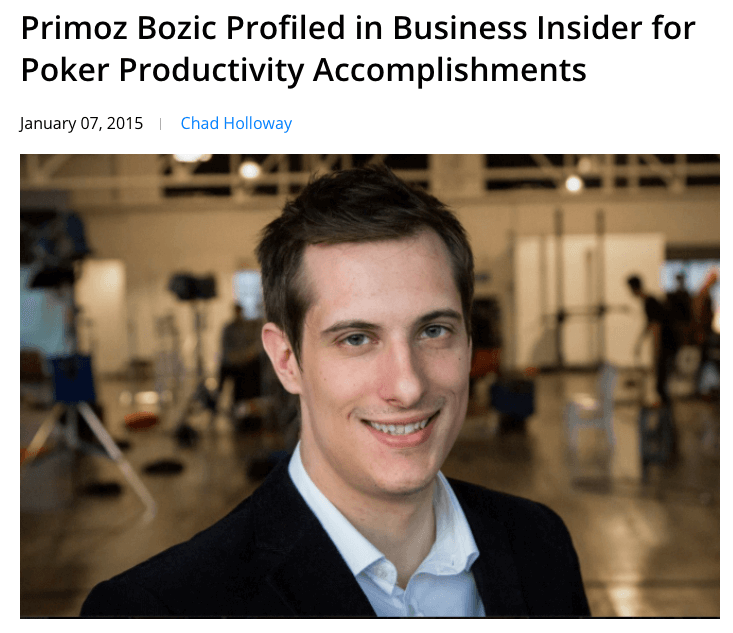 Poker News wrote about him getting featured in Business Insider. Online groups and forums are a great way to collect email addresses because you know that everyone in the group is part of your audience. Here are the major pros of using online groups and forums to build your email list. Everyone in the group is part of your audience. You don’t need to worry that you’re reaching the wrong people. Conversion rates are likely to be high. People who are active in groups are more likely to take action, and you know what you’re offering is relevant. You can build a lot of trust over time. Being active in a group lets people recognize you—so that you’re already trustworthy by the time you ask for an email address. Of course, there are some potential drawbacks. It takes time to build trust. You can’t just dive into a group and start spamming your website. Making this tactic work takes sustained effort over time. Numbers will be low. This might not always matter, but you will get fewer subscribers per unit of effort. It can be hard to find groups that are relevant and allow self-promotion. How do you find groups and forums? There are three types that get the best results. You might get some hits. In my experience, this is more likely to get you to the low-quality groups. The highest quality groups out there are harder to find—because when a group becomes easy to find, people do things like this and start spamming it. To find high quality groups, you’ll want to get intimately familiar with your industry. Constantly ask people what groups they’re a part of, and keep exploring content on your own. Once you find groups that you think are a good fit, follow these steps. Listen. Start by following the conversation in the group, so you can get a feel for the tone before posting. Reply. 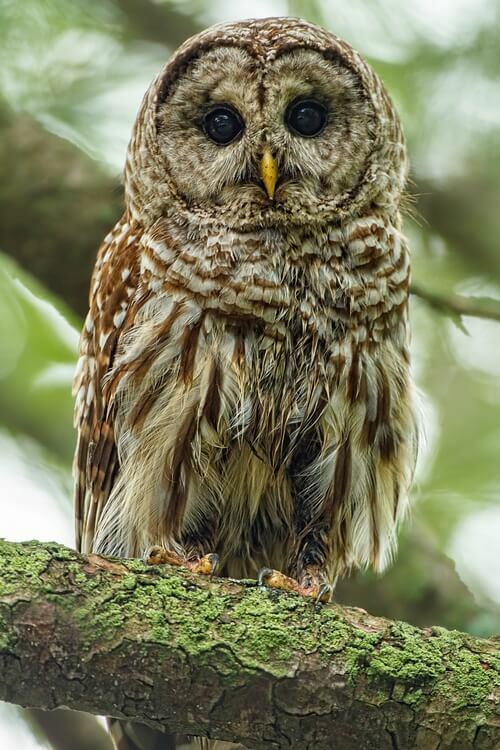 Add value on posts by answering questions. Do this is a positive tone of voice. Keep replying. Keep adding value. Keep getting to know people. Get to the point where people in the group recognize you. They may even discover your business on their own. Post. Only once you’ve been adding value for a while can you post your own stuff. If you’ve done this right, you might not have to—someone else in the group who know your business might share it for you. Online groups and forums are a huge opportunity (especially on sites like Reddit, there may even be some viral opportunities). You can reach people who want exactly what you offer. It just takes a good, up-front investment of time. That’s Ryan Holiday, writing in his book Perennial Seller about the power of platforms. When you’re trying to build your list, one of the best ways to do it is to build on top of an existing platform. In the tech world, there are a few famous examples of using the power of an existing platform. All of those examples happen at a massive scale. But they illustrate the idea—when you’re trying to build your own platform, tap into someone else’s audience. 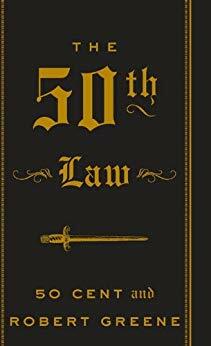 Why do you think author Robert Greene decided to write a book with rapper 50 cent? Ryan Holiday himself was able to piggyback on the massive reach of Tim Ferriss to promote his books (including Perennial Seller). He wrote about the “Tim Ferriss Effect” in The Observer. Not everyone can build a connection to Craigslist, work with 50 cent, or get promoted by Tim Ferriss. But you might be able to write guest posts. Especially if you’re just starting, you don’t have great ways to promote your email list. Other people have established audiences—and if those audiences also care about what you offer, they could become members of your audience. 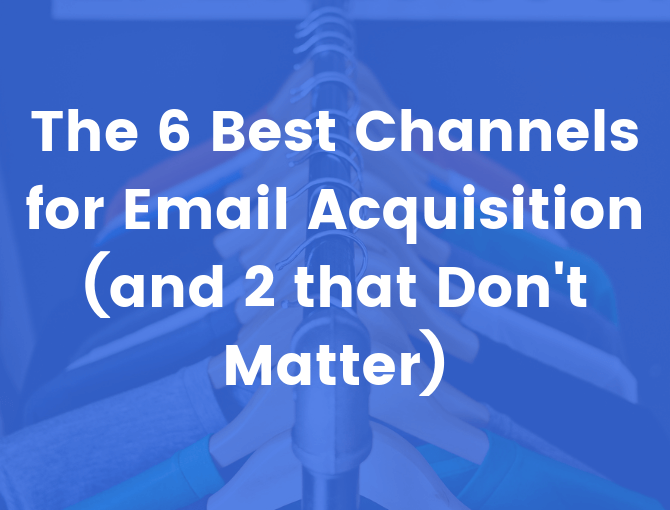 They’re a great source of people for email acquisition. Reach an established audience. You can reach an existing group of people relatively easily, without needing to build a platform on your own. Reach a targeted audience. If you’re trying to reach bowling alley owners, podcasts about bowling alleys are going to make it easier to find the people you need. Build long-term relationships. It’s good to have relationships with people who have audiences. The long-term benefits might not be clearly defined, but they’re hard to overstate. It can be a lot of work. Especially if you need to write new content yourself, guest posting can take a ton of work. Ramit Sethi has said that it took 20+ hours to write this guest post for Tim Ferriss’ blog. It can be hard to find good opportunities. Because guest posting got popular, influencers are more hesitant to accept posts that come from cold pitches. And if you’re in a niche space, there might not be that many people to post with. It can take a long time. You don’t want to spam out guest post requests—website owners are wise to that tactic now. Building relationships is the way to go, but that also takes significantly longer. It used to be that you could take a generic guest post pitch, send a cold email to some bloggers, and score a bunch of guest posts. Unfortunately, too many people started doing that. Also, a lot of the guest posts people pitch are low quality (trust me, I get dozens of pitches through both my role at ActiveCampaign and my personal website). One of the many bad guest post pitches I get daily. This is one related to my personal website (notice it’s 2 of about 94). When it comes right down to it, the best way to get guest posts and promotion from influencers in your industry (and therefore send traffic back to your website) is to build relationships before you pitch. Intrigued? This is an article by Leslie Chen, who used the meetup platform…Meetup…to build her email list. Worth noting—this kind of advice often comes from marketers who do marketing for other marketers. But not in this case. Chen runs a health-related business. (By the way, this is also an example of a guest post. Leslie Chen contributed it to GrowthLab, an online publication). Famously, Kevin Hart used to collect email addresses from fans at shows when he was still a small-time, touring comedian. By taking advantage of the offline opportunity to build an online platform, he was able to rise to prominence much faster. Your offline networking opportunities will depend on where you live. Meetup might be a platform that works for you, or you can look for other opportunities. What kinds of offline opportunities are those? Teaching an offline class. A local coffee shop brings in guest speakers, who almost always bring a way to collect email addresses. Could you be one of them? Small group meetups. I go to a monthly meetup with some other marketers. It’s been incredibly valuable—but you can’t find info about it online. Go to events like this regularly to build relationships. Sponsored events (even “networking” events). Lots of organizations run events that are open to the public. Going to one event and schmoozing probably won’t get you much. Going to all of the events and making connections with the same people over and over will. If offline networking events are terrifying to you (the way they used to be for me) I would say this—the image of the “business-card slinging social butterfly” is largely inaccurate. I remember going a meetup where, before I’d even said my name, I was holding a guy’s business card. After what would be generously called a short “conversation,” he dipped off to sling a business card at someone else. I didn’t get to say my name. I don’t remember his. He didn’t come to the next meetup. Instead of that kind of behavior (which is the offline equivalent of spam email), go to the same meetups consistently. Become known there. Meet people. Make friends. Over time, they’ll learn what you do. I don’t even have business cards any more. Incredibly personal. Someone who signs up for your email list after meeting you in person is likely to be highly engaged. Highly targeted. Because you meet people at relevant meetups, they’re likely to be interested in your topic. Highly qualified leads. This is most important for business to business or especially expensive purchases. If you’re selling expensive stuff, there’s no substitute for facetime. As an added bonus, offline networking puts you directly in your market. Super useful for market research. You have to actually go places. Actually going places seems less and less popular nowadays, but offline networking does mean getting out of the house. It takes a long time. You can’t just go in and start taking names. It takes time to build relationships. Numbers will be low. There’s a limit to how many people you can reach with offline meetups. Unless you really want to #hustle, this might be a better tactic when you’re just getting started (or only need to reach a small number of people. If you’re struggling to get your first few subscribers or you’re in a business where you don’t need many customers (B2B, or a well-paid freelancer/consultant) offline networking could be a great fit for your list building. Word of mouth makes a lot of sense intuitively—of course you’re more likely to trust recommendations from people that you already know. So why don’t marketers like word of mouth? Because it’s harder to measure and harder to predict. Which makes it harder to argue for a budget. How can you use word of mouth to build your email list? Check out this example from tech copywriter Josh Garofalo. Oh yeah, you’re going to get experimented on. That short message is at the bottom of each email Josh sends. (And in the spirit of supporting his mission, here’s the link to sign up for his newsletter). Josh knows other copywriters. When you have that first group of people to start spreading your work, you can get a nice jumpstart. I found the newsletter when someone else shared it in a copywriting group on Facebook. Josh doesn’t need a massive audience. As a high-end freelance copywriter, Josh can’t take on a 1,000 new clients—and he doesn’t need to. He just needs to reach the right people. Josh is really good at what he does—and the content proves it. The emails are good. It shouldn’t have to be said, but it does. The emails are good! People want to share them because they’re really insightful. If you want to spread via word of mouth, you need to have a message worth spreading. Or, the even shorter version—make stuff that’s really good. Then make it better. Then ask people to share it. Here are the pros of word of mouth, when it comes to building your email list. High trust. You are more likely to get a highly engaged audience, because the people you reach heard about you from someone they trust. Highly targeted. You are more likely to get a highly relevant audience, because people only recommend things that they expect their friends to be interested in. Let’s you focus on your work. If you can get the word-of-mouth engine started, it may bring in enough business for you to do less other marketing. This will mostly be true for smaller businesses (especially consultants and freelancers). Here are the cons of word of mouth. Hard to measure; ephemeral. How good of a word is ephemeral? Anyway, word of mouth is hard to predict/measure—and there’s no “playbook” for getting it the way there is for some other tactics. The first share is difficult. Word of mouth spreads through existing networks. If you can get into those, you should be in good shape—but that initial penetration is tricky. Less important at massive scale. This isn’t important unless you get really big, but if you do get super huge, word of mouth just doesn’t have the same reach as other channels. If you’re a small business, word of mouth can also be helped by having a hyper-specific niche. If you’re the only business that does fitness for ultimate frisbee players, you better believe that ultimate frisbee players will recommend you to each other. Google ads, Facebook ads, Quora ads, Twitter ads, LinkedIn ads, and Reddit ads. The major search and social networks make their money with your advertising, and they’re very good at it. Regardless of the specific platform you choose for this, the process of collecting email addresses from paid ads looks similar. 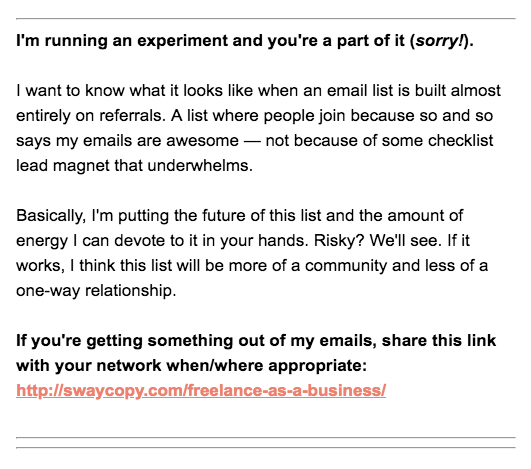 This part is important: only do paid email acquisition if you have a way to make money from getting email addresses. If you collect a bunch of emails, but don’t have the bottom of your funnel set up—you’re just throwing money away. Paid search and social only make sense for businesses that already have ways to make money and track their leads. Customer tracking looks maybe a little different from this kind, but you should have it in place before spending a lot on paid search and social. Here are the pros of paid search and social. Highly trackable. If the bottom of your funnel is good, you can track exactly how many customers you get from paid search and social—and how much it costs to get them. Highly targeted. You can reach people with extremely specific interests, which makes it easier to find people who are otherwise hard to find. Easy to turn on and off. If you have something to launch, run ads! If you don’t, stop running ads! Paid social and search make it easy to control the flow of leads. Here are the cons of paid search and social for email acquisition. They cost money. Duh. But also—it’s easy to spend more than you want to if you aren’t all that familiar with the platforms you advertise on. Costs are rising. As more people advertise to the same group of people, costs go up. Also, your costs are likely to go up over time (after you reach the easiest to reach people). Easy to take up lots of time. It’s easy to get caught up in micro-optimizations that change your conversion rate by a few tenths of a percentage point. If you’re advertising at scale that can be a big difference—but if you’re a smaller business, that energy is probably better spent elsewhere. Paid search and social are big opportunities that make it easier for small businesses to reach new audiences. Before you start, make sure you’re the type of business that can benefit from the channel. Which list building tactics should you ignore? There are two list building tactics that are common, but not worth your time. They are social media contests and buying lists. Social media contests are essentially online raffles. People give you their email address to get an entry, and can get more entries by sharing the contest on social media. The winner gets a prize. It’s not that social media contests can’t get you a lot of email addresses fast. They can. The problem is that the people who give you their email for a contest are probably never going to turn into customers. They aren’t interested in what you have to offer—they just wanted a free iPad. In most cases, social media contests are more energy than they’re worth. It’s scummy. It’s spammy. Depending on the details, it could be illegal. And it doesn’t work. Yeah, there people out there who will sell you email lists. But conversions rates will be low. Your deliverability will take a huge hit from all the people marking you as spam. You’ll have spent a bunch of money to get the list—and get negative results in return. Search engine optimization, online groups and forums, guest posts, offline networking, and word of mouth are really all the tools you need to get traffic that grows your list. If you make an offline connection who gives you their email address right then and there, that’s awesome! You just combined “traffic” and “conversion” into one step. For most other channels, getting people to come to your website is only the beginning. 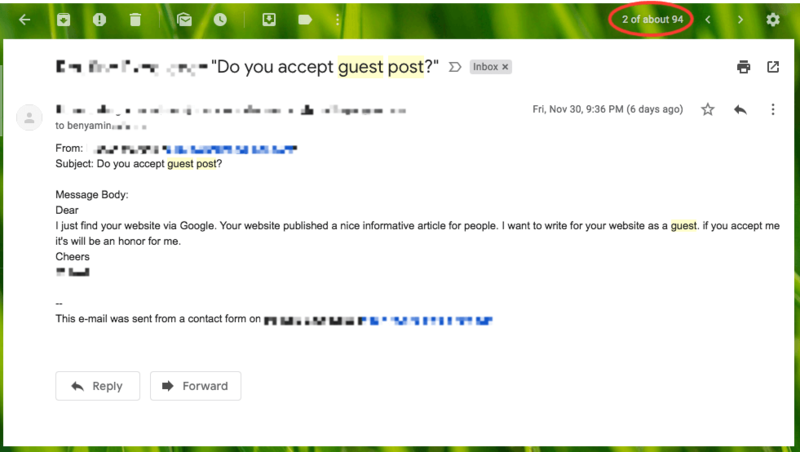 When someone finds you in Google, reads your guest post, or otherwise winds up on your website—you need a way to get them to sign up. As you’ve probably figured out on your own, it isn’t enough to say “join our email list” and put up some opt in forms. It takes more than that. Here are the key conversion rate optimization things you should think about. Phew. Take a deep breath. That’s three things. If you make them choose, they start thinking. Which slows them down and makes them less likely to give you their email address. “One call to action” is one of the best-known rules of conversion rate optimization. Let me give you an example that shows what this is like in practice. 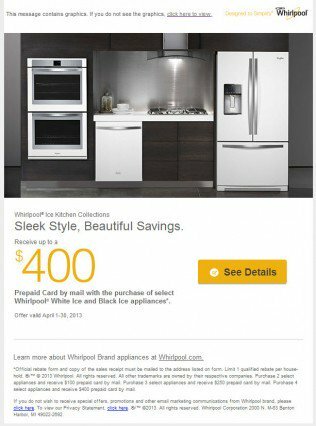 Here’s an email sent by WhirlPool (via MarketingSherpa). And here’s the updated version they tested. The result was a 42% increase in clicks. Outside of choosing plan tiers (which is a bit of a different circumstance), I’ve never seen a simplified CTA like this lose a test. Opt-in copy is one of the most overlooked parts of list building. You can try all the email acquisition tactics and quick-tips you like – if your copy isn’t good, your conversion rates won’t be good either. Why? Because the more people understand what they’re getting and why they should care, the more likely they are to give you their info. We’ve written plenty about how to find messages that your audience craves. You can read more about how to write incredible marketing copy in this article. For quick tips, here are five guidelines that can help your conversion rates. Be clear (not clever). Step one is being understood. If people don’t understand you, they won’t convert. Get rid of marketing-speak and save the puns until you have a message as clear as glass. Sound like a human. “We’ll help you optimize your life through transformative…” No. Stop. Get rid of jargon and sound like a real person. Even technical, smart people prefer to read jargon-less copy. Add emotion. Emotion leads to action. The best copy pokes at strong emotions. Make your copy reflect the burning pains that your audience has. A low-friction CTA. You need to ask people for their email address at the end. CTAs like “Get your free” or “See how” usually do better than ones like “Learn more” or “Sign up,” which sound like more work. Ok, all that is great hypothetically. What does it actually look like in action? I love this example from Darya Rose of Summer Tomato. AND she has a PhD? Definitely show me! How does Darya do on each of our five points? Be clear, check. It’s a video with three steps. Easy to understand. Sound human, check. Darya has a PhD, but the words she uses are conversational. Offer specific benefits, check. 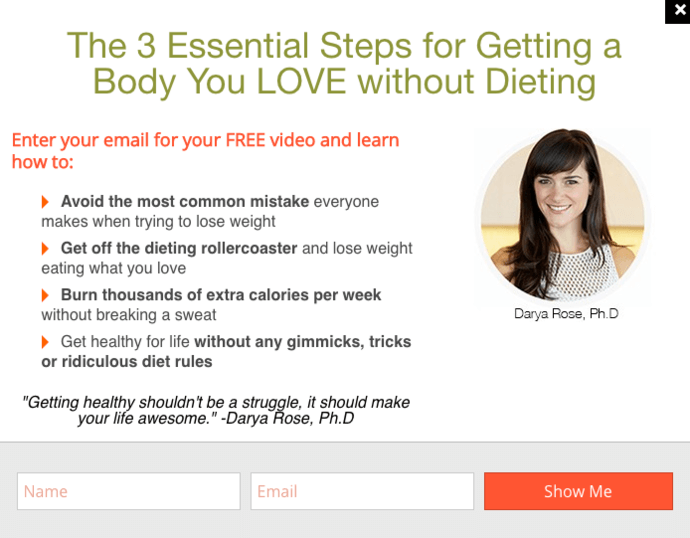 “Body you love without dieting.” Not to mention the sub-benefits she lists. A low-friction CTA, check. “Show Me.” Can’t be clearer or lower friction than that! The better your opt-in copy, the more people will sign up for your email list. Unfortunately, “sign up for our newsletter” isn’t the most compelling offer. In olden times (by which I mean, the mid-2000s), there weren’t that many newsletters around. The opportunity to get a weekly email from someone smart was actually a pretty big deal. Nowadays, there are so many newsletters that the thought of reading all of them is a bore. So if you want to know how to build and email list fast – you’re going to need some lead magnets. There are literally dozens of ways to offer people a lead magnet—and many types of lead magnets you can offer. We wrote up a huge, 6,000+ word guide to lead magnets here. It should cover what you need to know. If you don’t have time for that right now, here are the three most important things to think about when you offer a lead magnet. Target it at a specific problem. A great lead magnet solves one problem really well. Your lead magnets will do better if they don’t solve a long list of problems—but if they instead give people a single, compelling benefit to focus on. Offers a quick win. The best lead magnets solve a problem right now. Even if it isn’t the biggest problem, or the one that needs solving long-term. Offering a quick win means fast results—which people like. Offer a quick win in return for an email address. You’ll get more email addresses and grow your list faster. If it’s hard to find your form…no one will find your form. I learned this the hard way. When I had a blog post go viral on Reddit, I brought ~42,000 people to my personal blog in the first 24 hours. How many do you think signed up? 42,000? 4,000? 400? I had a form at the bottom of the blog post, and on the sidebar of my website. Unfortunately, people don’t really submit those forms (and I wasn’t offering a lead magnet yet). 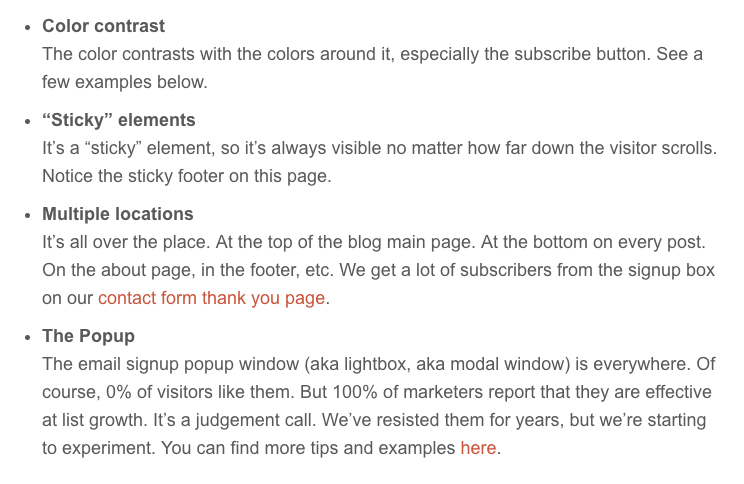 Content marketer Andy Crestodina shares four ways to make your sign-up forms more prominent, in his blog post Email Signup Forms: The 3 Factors in Boosting your Email Signup Form. Can popups be annoying? Yes. Do they work? Also yes. On my personal website, I added a popup and moved my CTA higher in the blog post. Even though I missed the initial wave of traffic, I still picked up a few hundred email addresses. 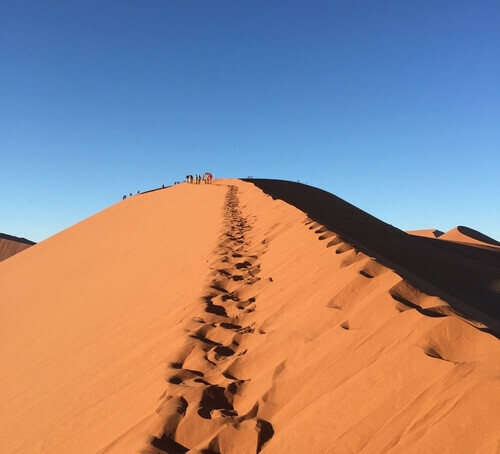 All email acquisition strategies ultimately come down to two steps. Choose the channels that make sense, based on your business model and your audience. Ignore social media contests and paid email lists. Follow those steps and your email list will grow.